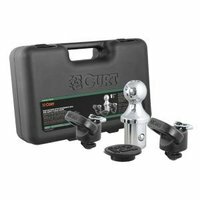 CURT Bent Plate 5th Wheel Rail Gooseneck Hitch. Allows pickup trucks equipped with 5th wheel rails to tow gooseneck trailers. 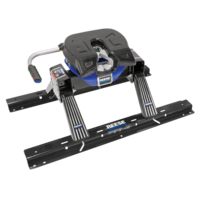 Mounts to all industry-standard 5th wheel base rails. Four-pin installation and removal for easy truck bed access. 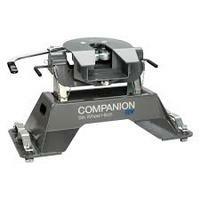 Features a welded 2 5/16" trailer ball. 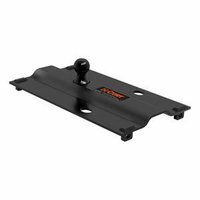 Can be positioned over the axle or flipped for 3" rearward offset. Designed with built-in safety chain attachment slots. 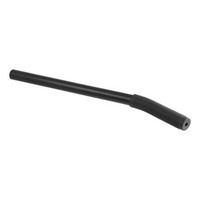 Protected by a highly durable carbide powder coat finish. Allows for secure mounting of the spring bars on the trailer frame. 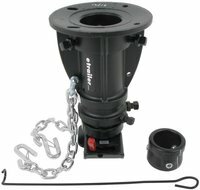 Perfect for use on trailers with LP tanks or other obstructions. Replaces factory brackets. 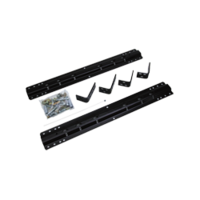 Snap-up design allows for easy leveraging of spring bar Bracket protected by a highly durable carbide powder coat finish. 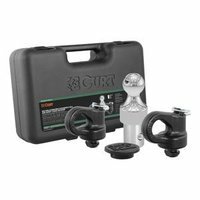 CURT OEM Puck System Gooseneck Ball & Safety Chain Anchor Kit. Fits the Chevy, Ford, GMC or Nissan Titan XD puck system. 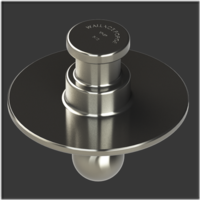 Ball installs easily with quarter-turn-latch locking system. 2 5/16" diameter ball couples to most gooseneck trailers. Retention balls keep the shank fully locked into the hitch. Constructed from strong, machine-forged steel alloy. Tested for safety to meet U.S. VESC V-19 specifications. Anchors provides a reliable connection for gooseneck trailer safety chains. Simple, drop-in installation eliminates the need for tools. 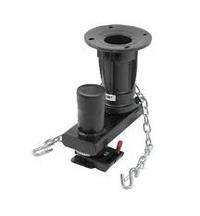 Wide openings accept large safety chain clevis hooks. 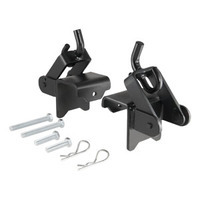 Anchors protected by a highly durable carbide black powder coat finish. Heavy-duty plastic storage case keeps components on-hand whenever needed. Weld on plate with adjustable bolt holes for Pintle or ball mount.